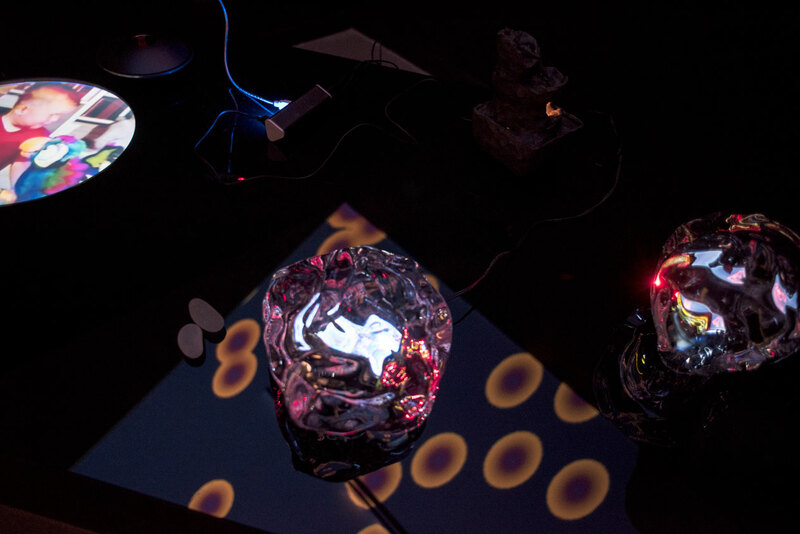 On top of a black glass table, a monitor and mouse await the audiences’ interaction. 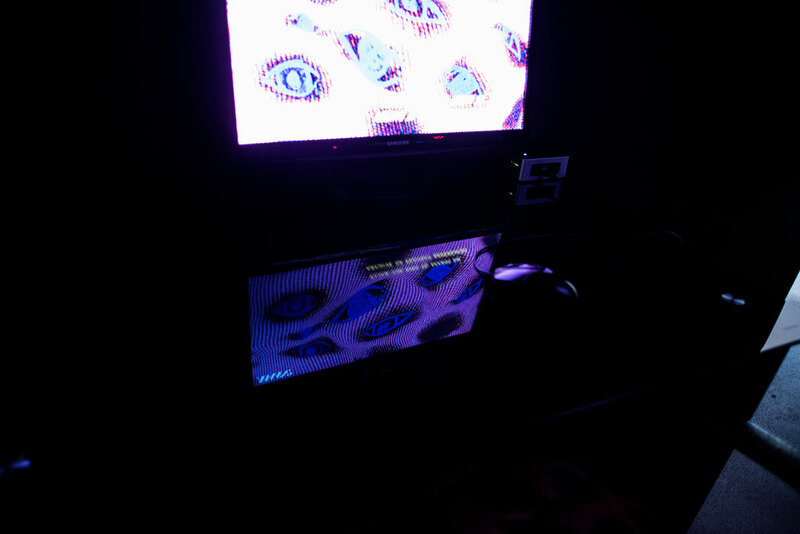 A velvet covered office chair, upholstered in a specially designed eye pattern, mirrors the same pattern showing on the screen. 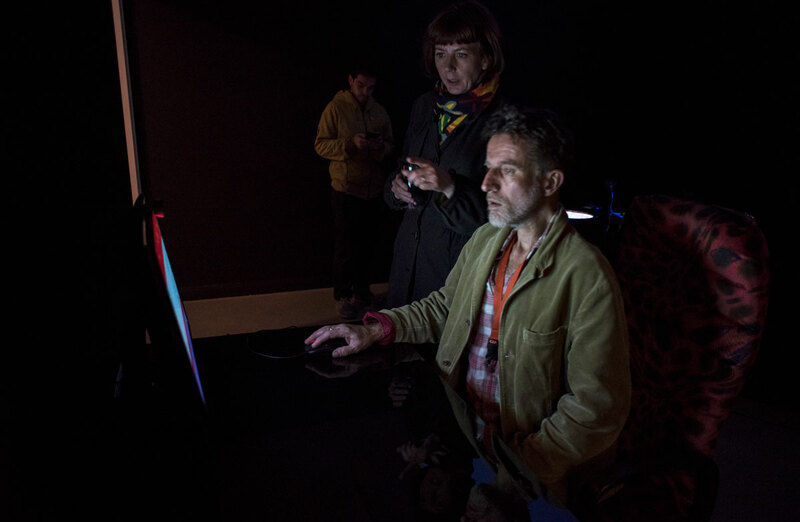 A text box moves around the screen inviting the audience to click on the eyes in order to access a project archive. 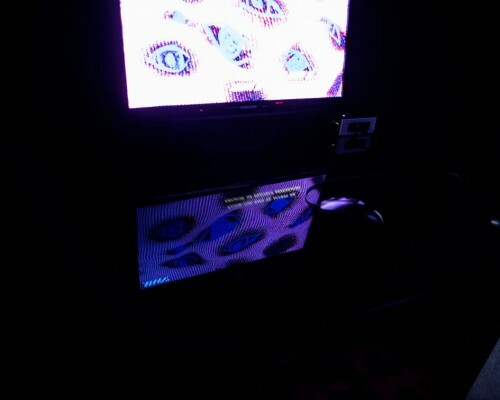 This is actually a calibration page, which uses the click mechanism to calibrate eye tracking software via the inbuilt web camera. 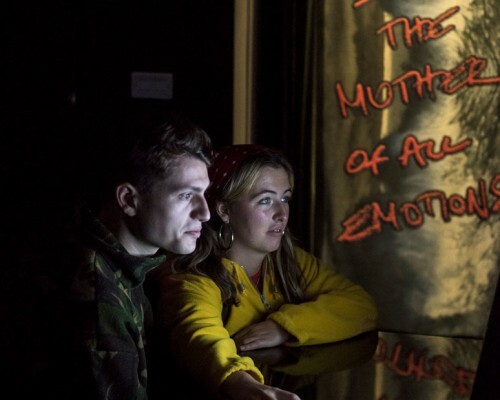 Once this is calibrated, the archive page is unlocked, and the audience member can click on a table of links to research and news articles looking at the role of behavioural psychology, eye tracking and neuromarketing techniques in online platforms and corporations. 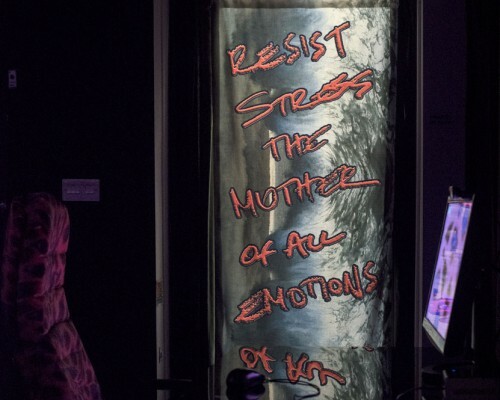 This is called the RESIST! 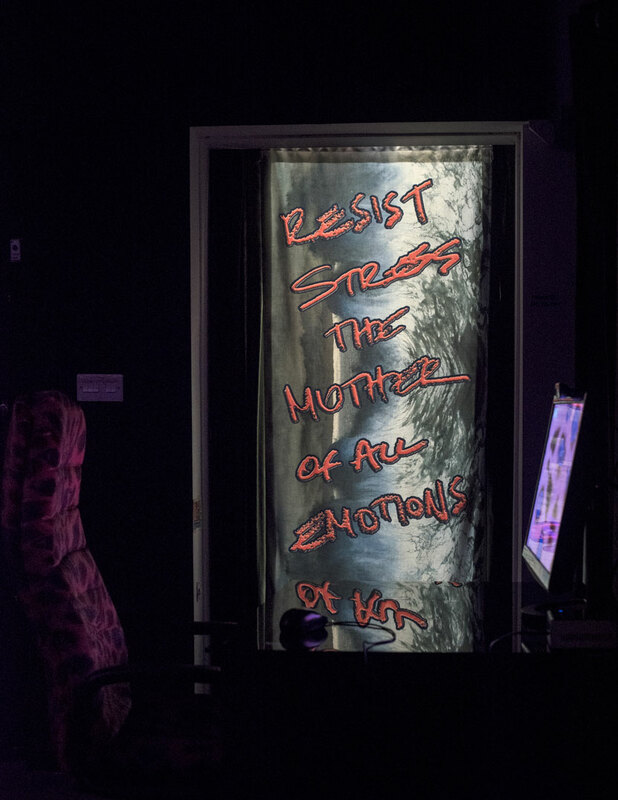 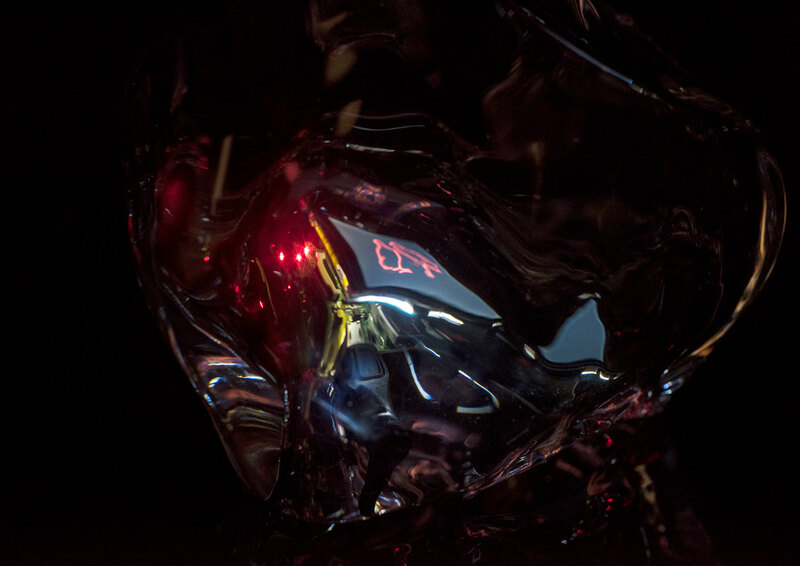 archive and also references various other artists’ works and strategies for creating spaces of resistance to this all pervasive surveillance. 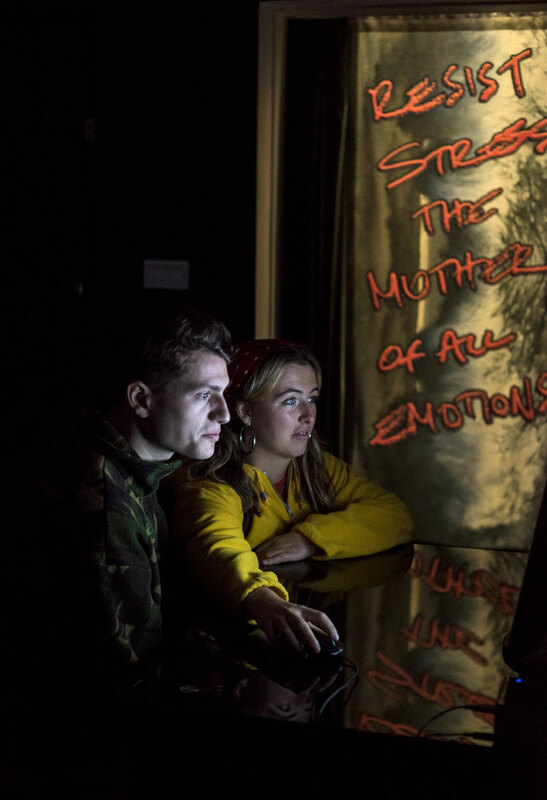 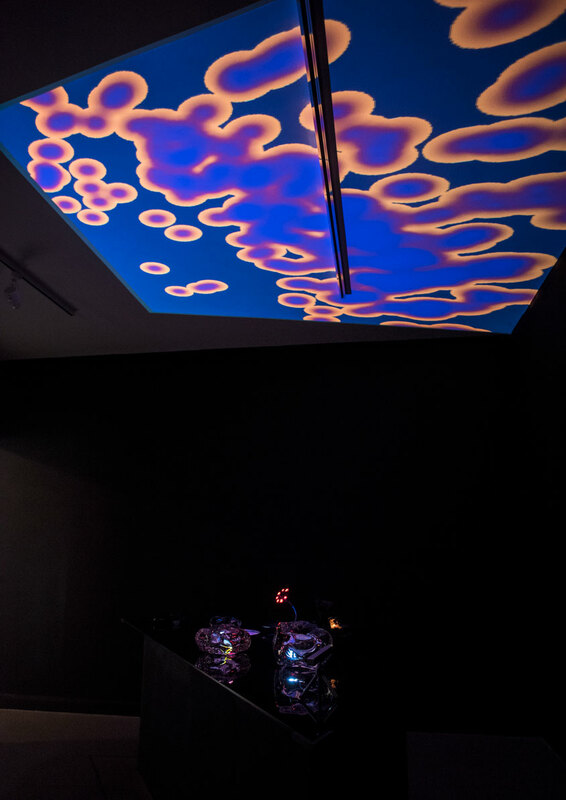 However, as the audience member is perusing these links, a live feed of a data visualisation in the form of a heat map of their gaze is being projected on to the ceiling. 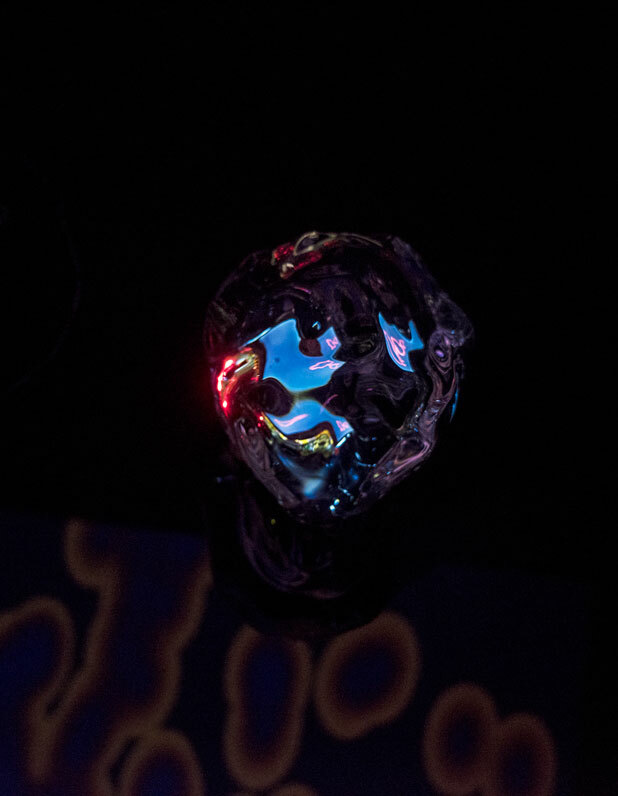 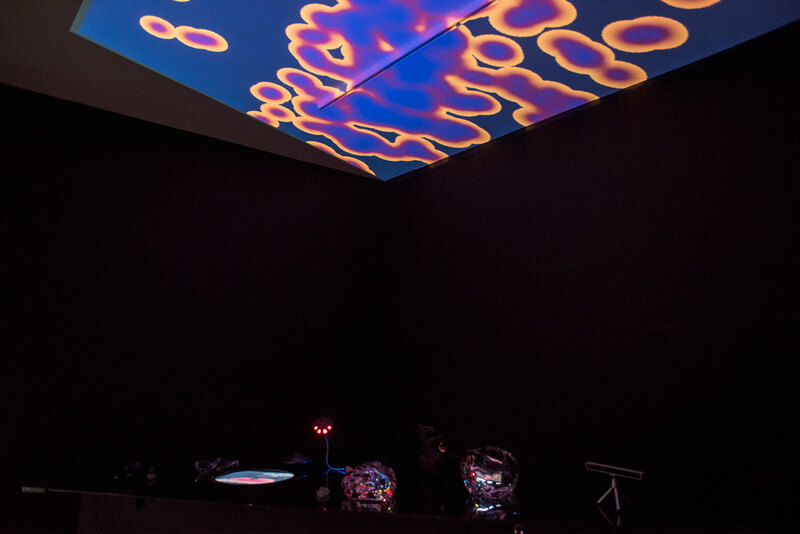 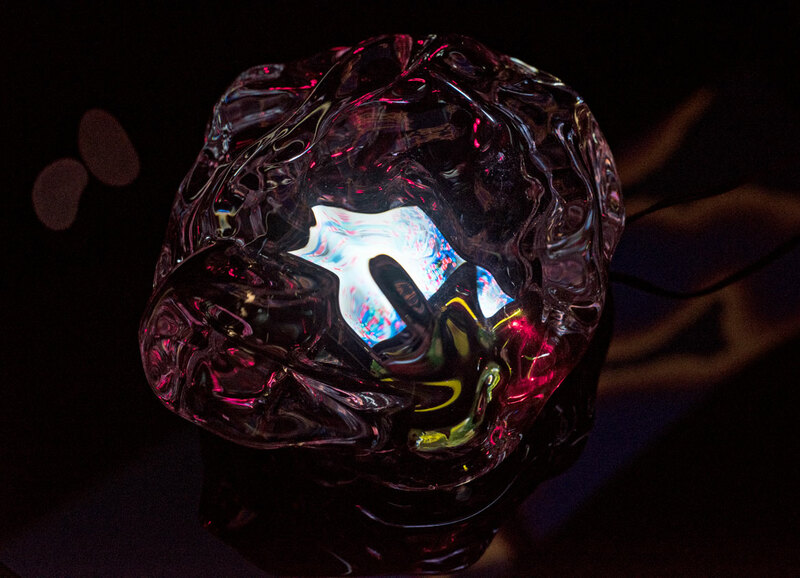 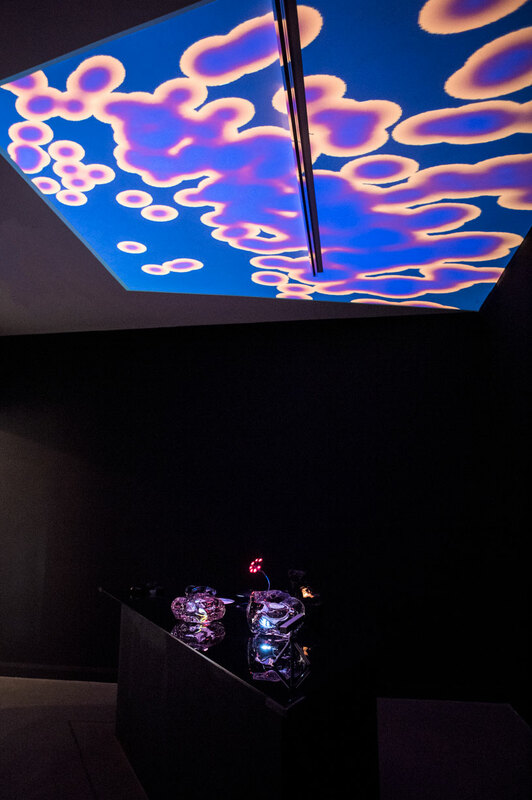 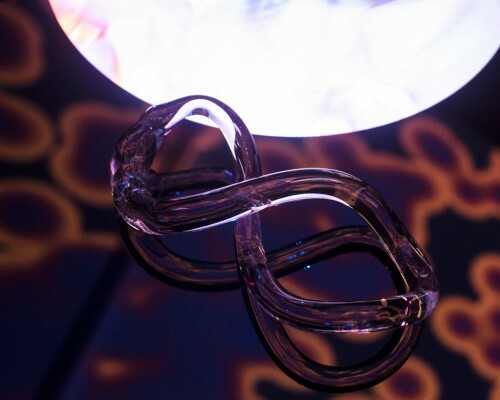 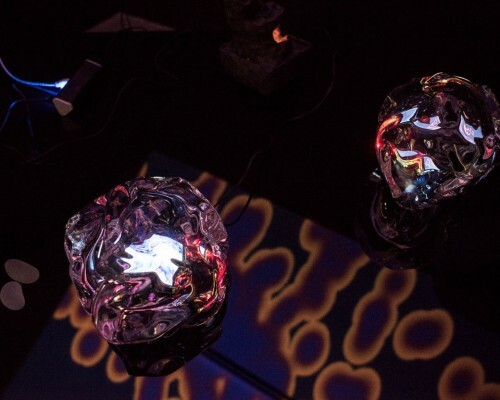 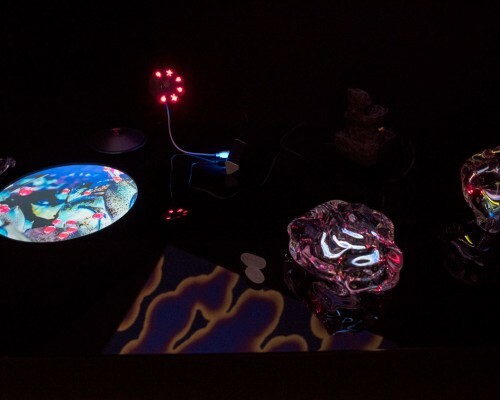 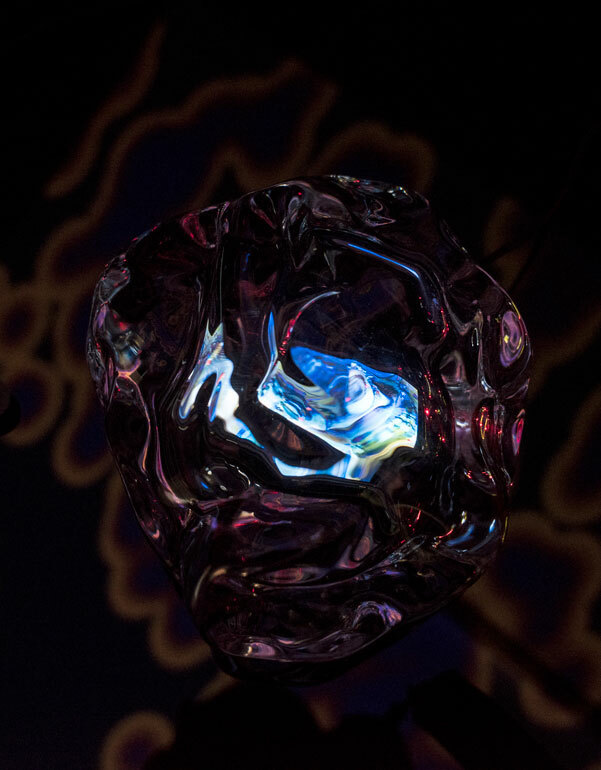 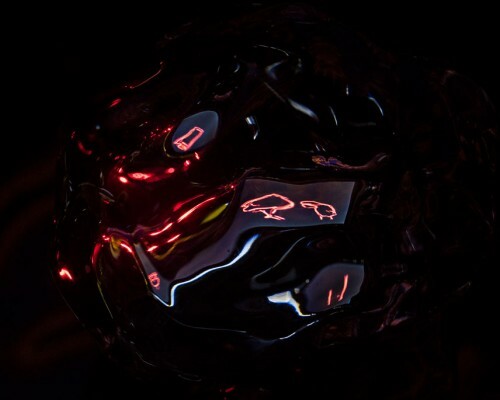 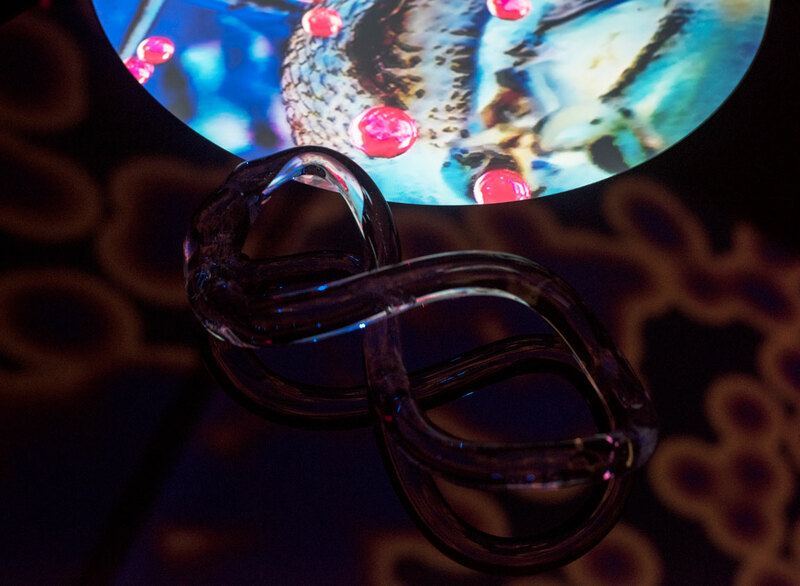 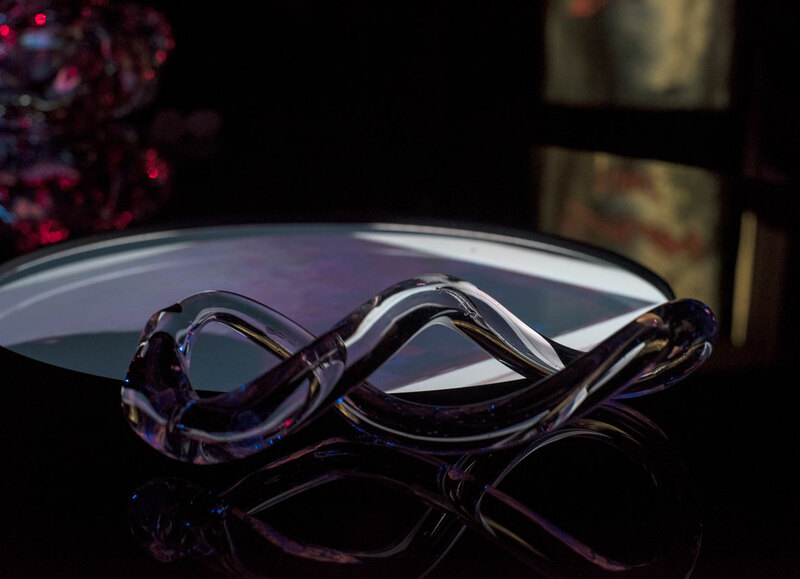 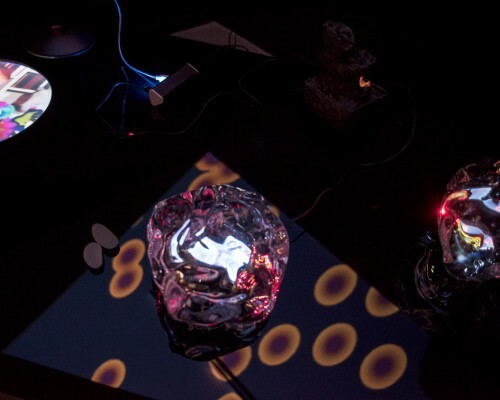 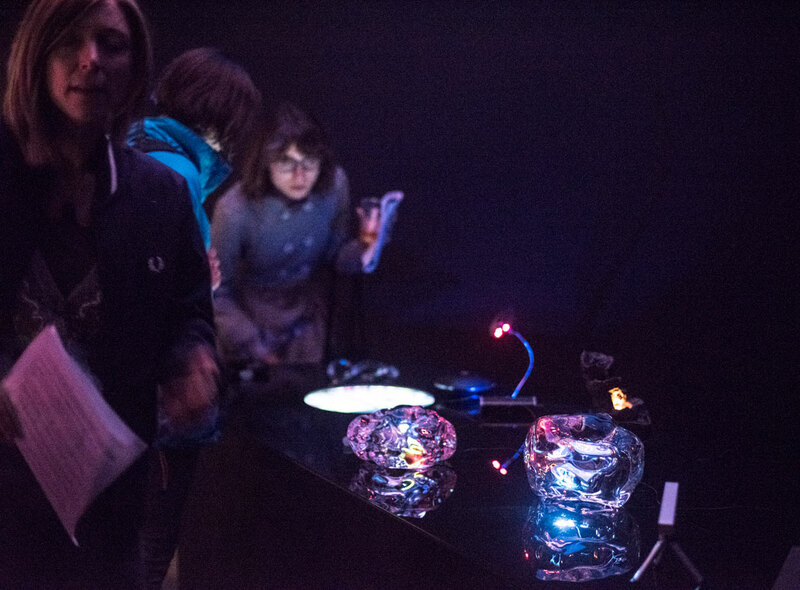 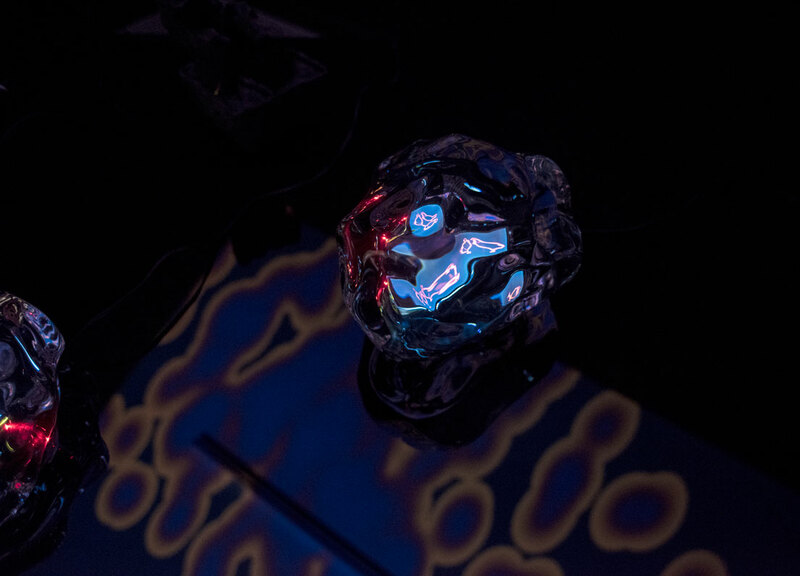 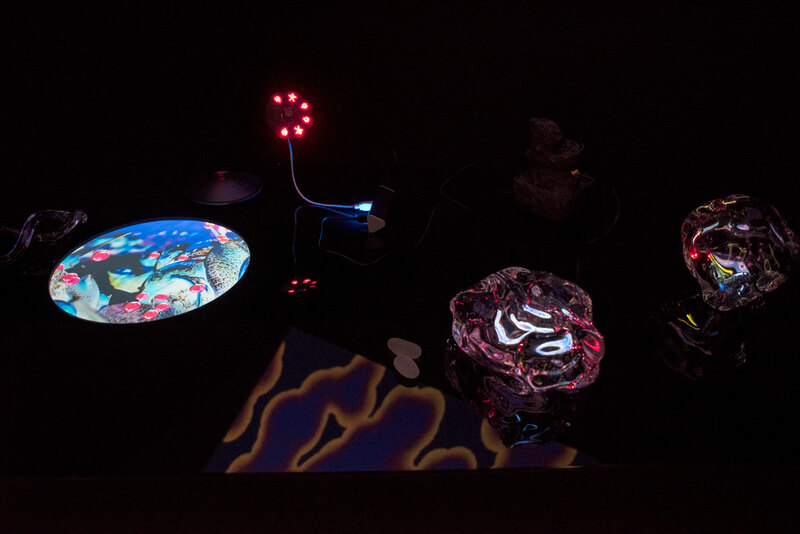 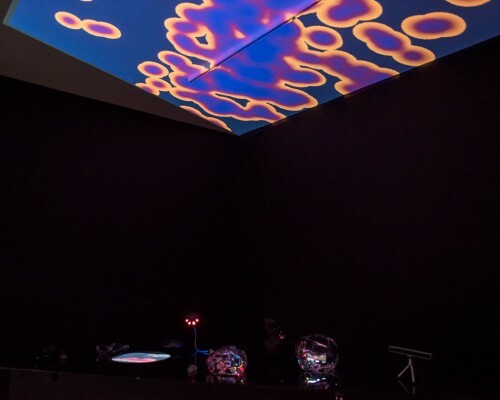 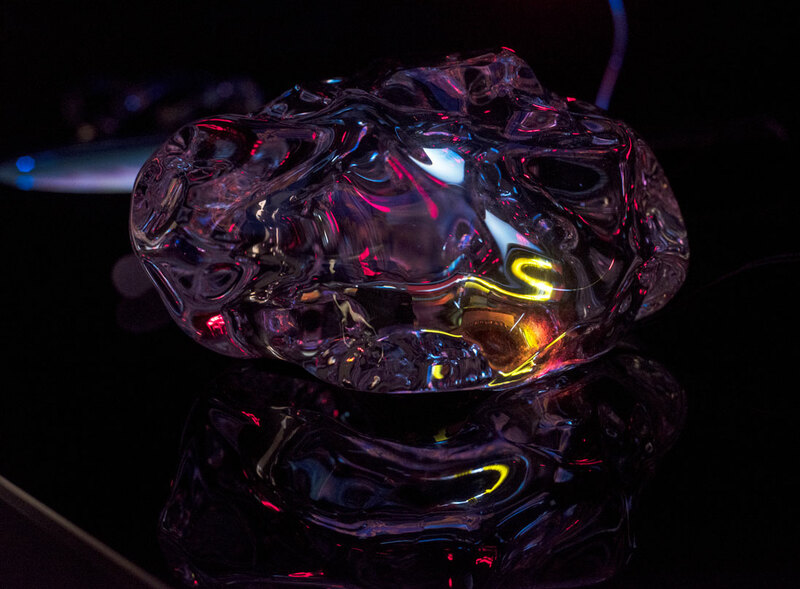 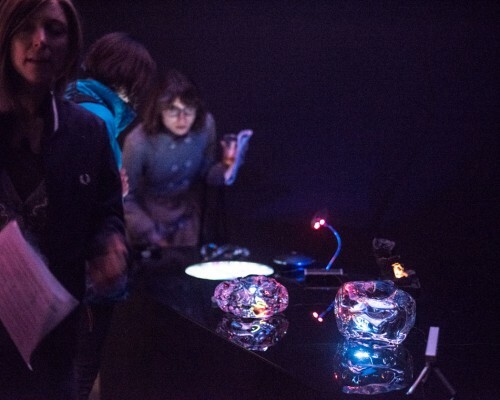 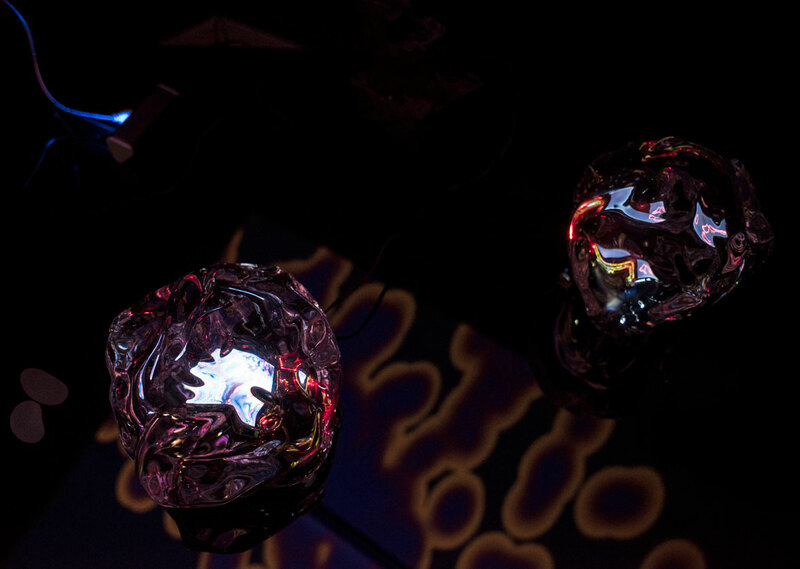 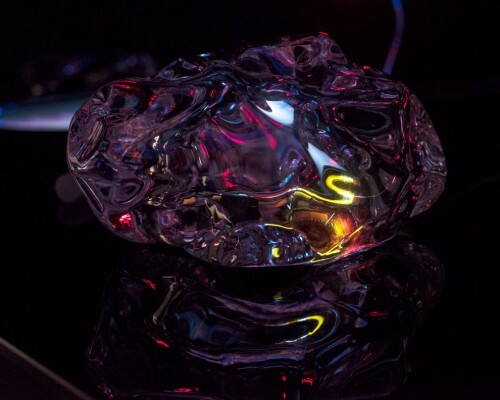 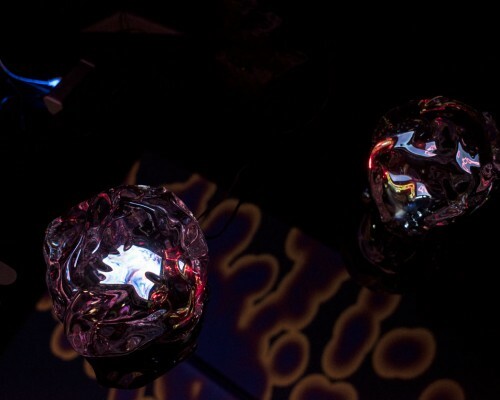 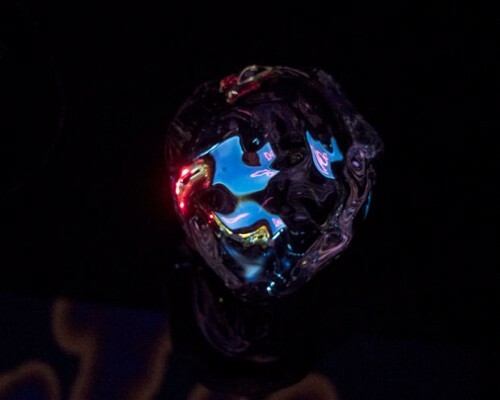 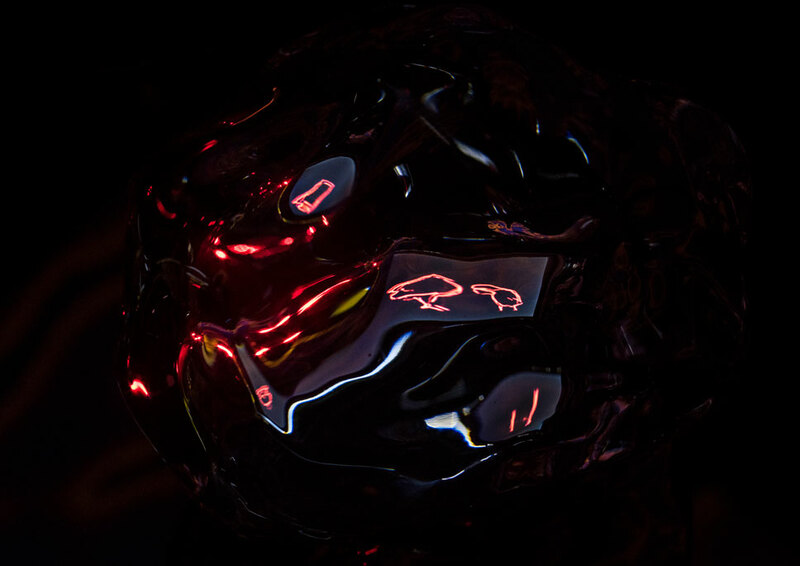 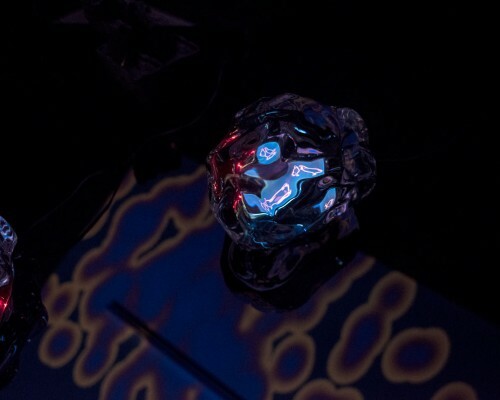 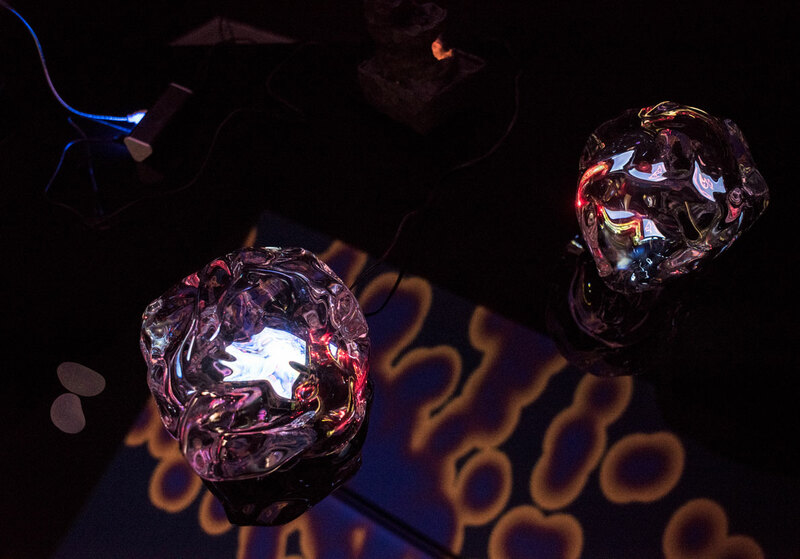 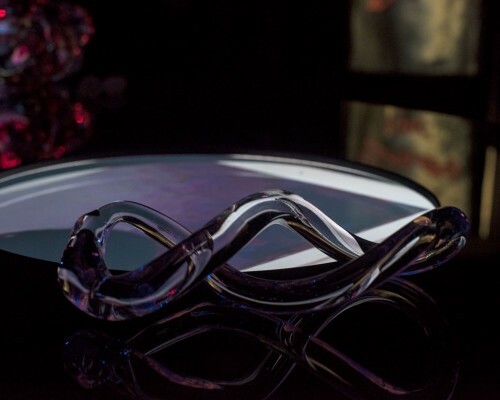 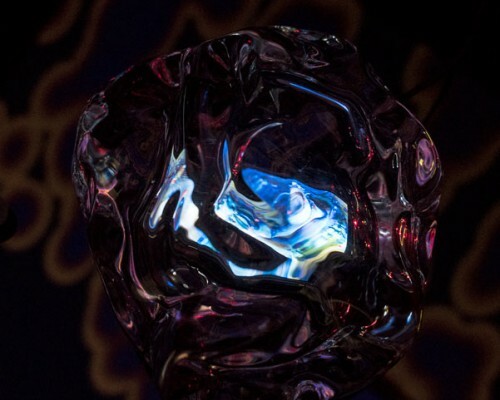 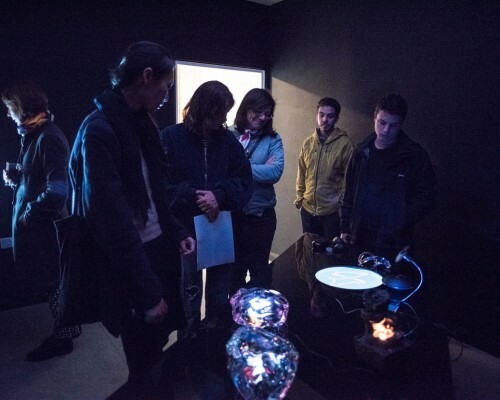 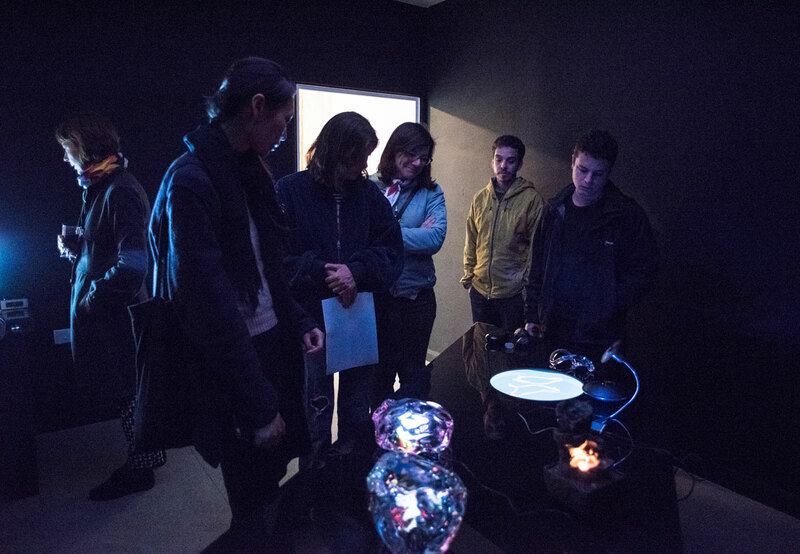 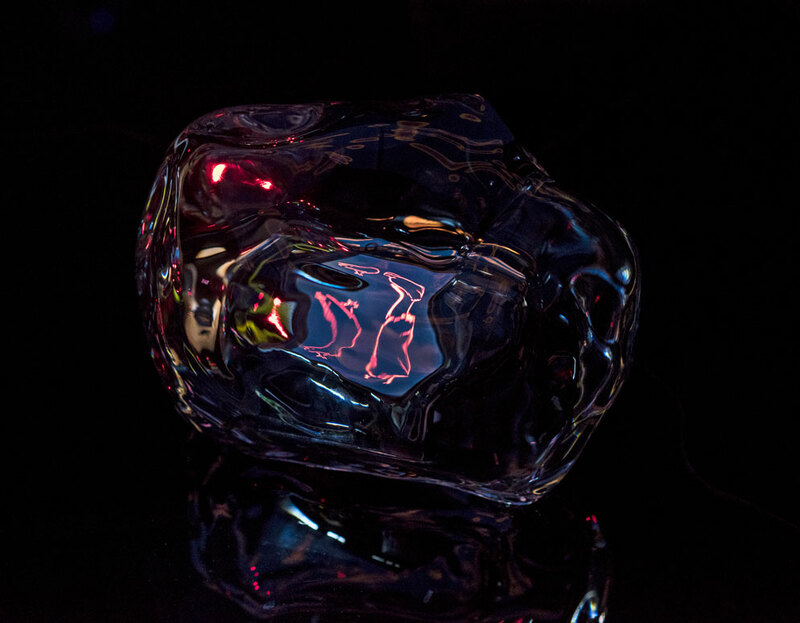 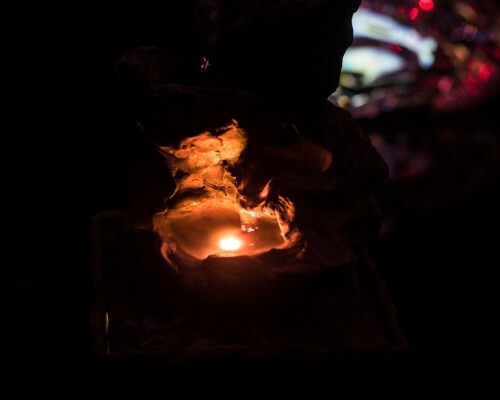 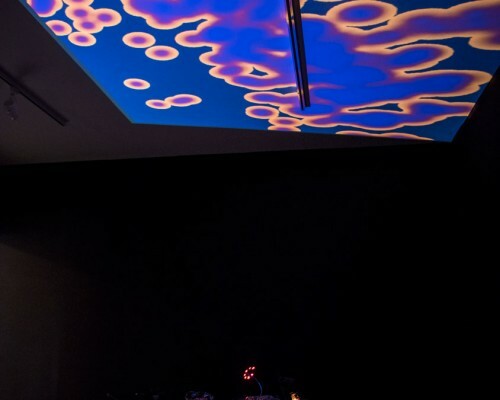 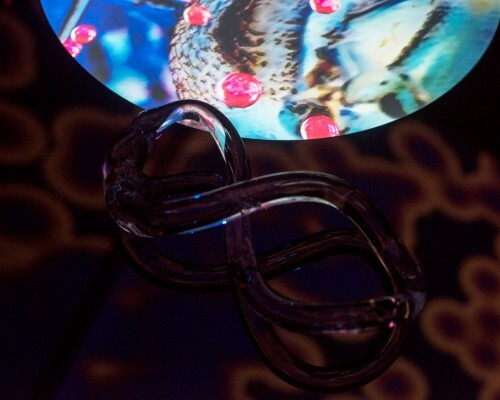 A trapezoid black glass topped table, with assorted sculptures on top – including a working table-top fountain and a USB fan, as well as two glass sculptures embedded with raspberry pi screens displaying two moving image works. 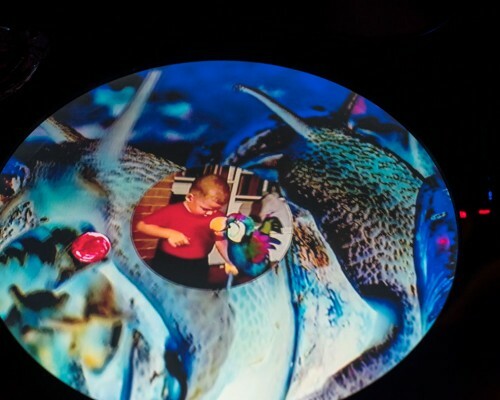 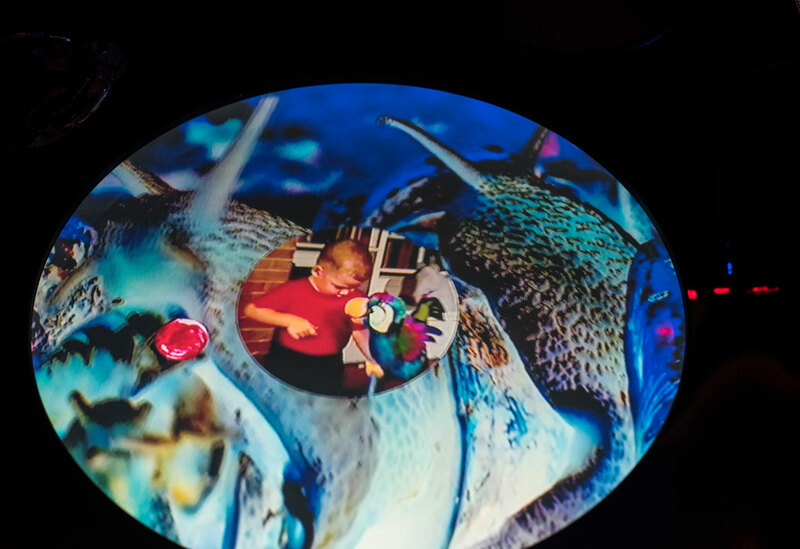 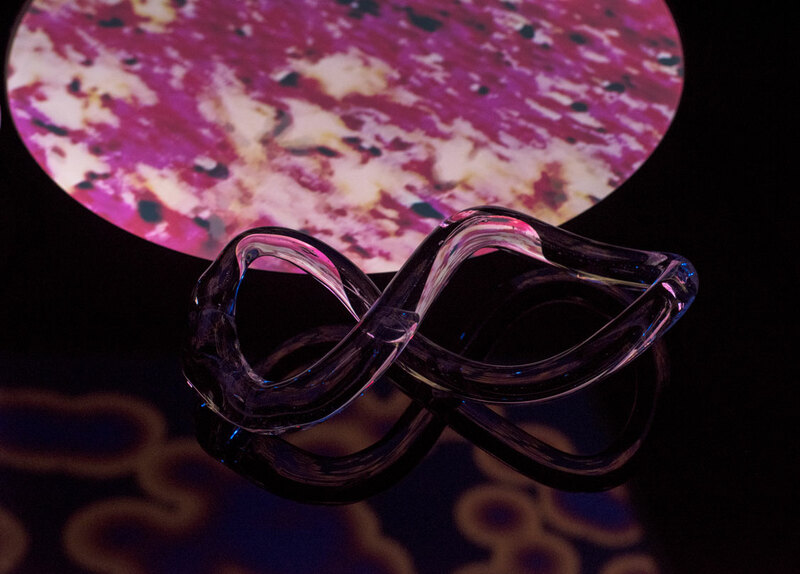 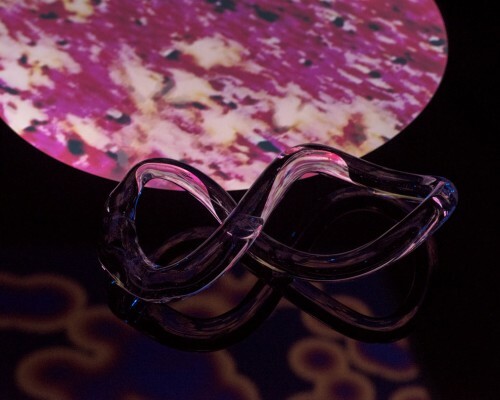 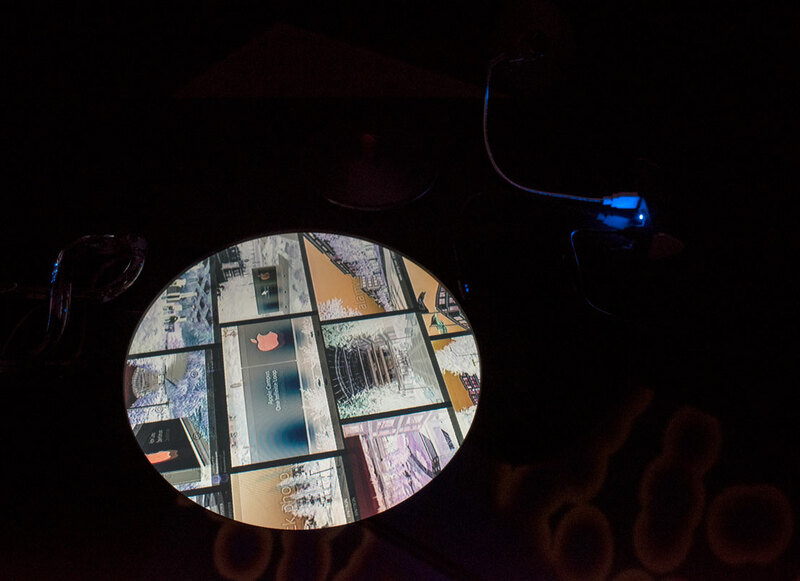 In the surface of the table, a circular hole shows the moving image work ‘Organic Control’, on an embedded flatscreen. 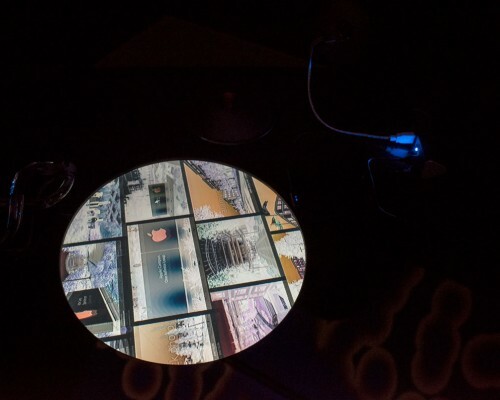 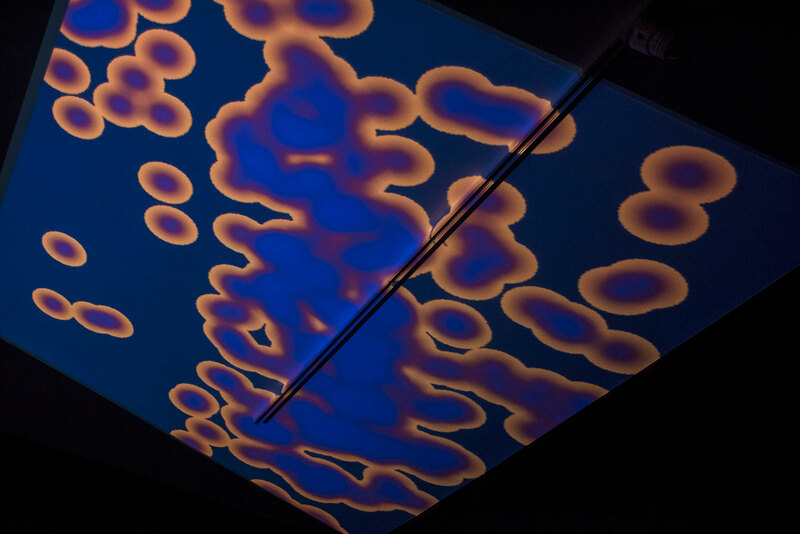 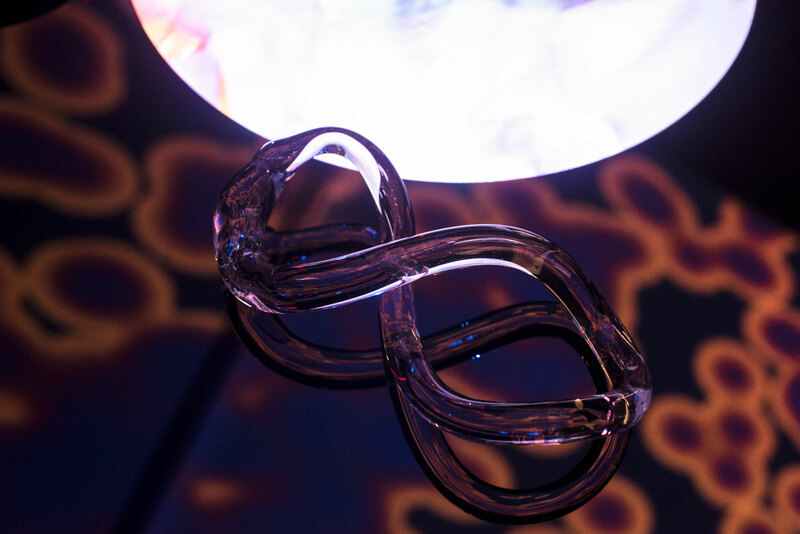 Overhead, a visualisation of the audiences’ eye tracking data is shown, captured by RESIST! 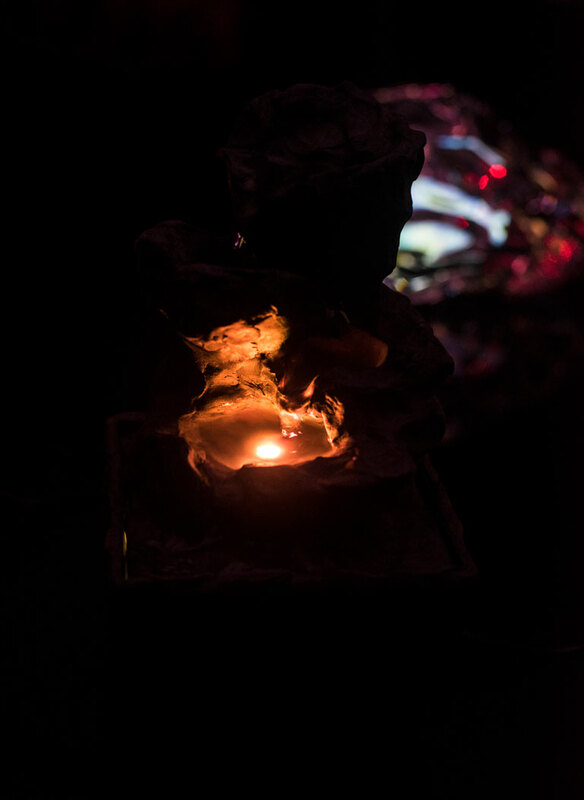 part of Working Table III. 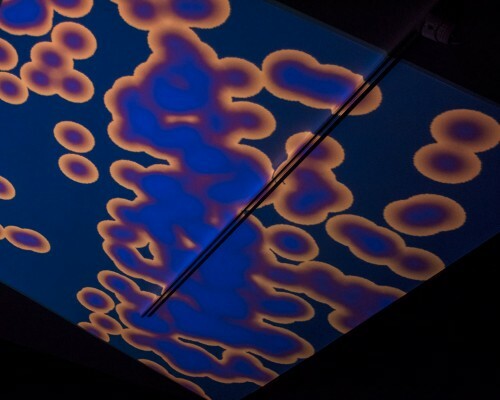 This heat map pattern is reflected in the surface of the table, adding another layer of visual information.